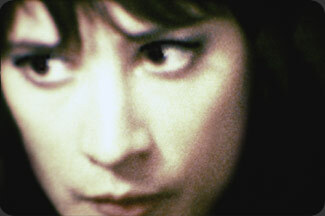 Sleep Always is the first feature shot in "super-duper 8", a wide-screen 8mm film format. It was awarded the "best feature" prize at the 2005 New Jersey International Film Festival. Synopsis: Working in a factory by day and playing jazz saxophone by night Frank's isolation deepens when he becomes obsessed with the enigmatic figure of Nada - an alluring homeless girl. Intent on saving Nada from life on the street Frank pursues the object of his social and sexual fantasy at all costs. 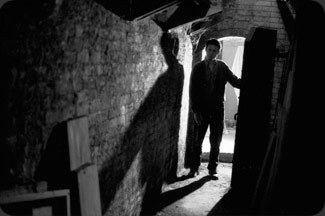 A noirish psychological journey where reality and fantasy collide in the labyrinthian corridors of Frank's obsession. Starring Fred Spek and Laurie Maher, with Ed Fielding (Welcome to Mooseport) as The mysterious Neighbour and a wall-to-wall soundtrack by some of Canada’s finest independent musicians. Please look around and learn more about super-duper 8 and the people behind Sleep Always. Copyright ©2002 Friendly Fire Films, All Rights Reserved.